Profile Intro: An outgoing well balanced hard working B2B business development person with successful career history in sales, telemarketing, business development, account management and research/resourcing. I am an experienced assistant manager and supervisor with two years of experience. Paired with my seven years of customer service and retail experience from both customer-facing and contact centre roles, I am a versatile customer service specialist with the insight and ability to work from a variety of perspectives and skill sets. These skill sets include the fashion industry, retail, hospitality, my counselling training has also granted me a level of empathy and communication skills that I believe you will not be able to find anywhere else. I am looking to further develop these skills and progress my career. Profile Intro: I am a creative, outgoing young professional striving to change my current lifestyle and progress in my career. Profile Intro: HELLO! 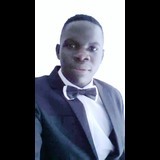 Am called Eric Onono by names, Am an IT expert from uganda with good skills on how to market ,promote, and do any job online when it comes to internet relation. Profile Intro: Versatile, well-educated, multilingual, masters-prepared business management professional with over ten years of experience in marketing and public relations, project management, production planning, NGO and other leadership positions. I have spent most of my career working in food retail supply chain and demand planning, plus some time on the shop floor in the charitable sector. I have held both operational and project based roles. I am also a qualified librarian. These are roles requiring attention to detail, strong research, numerical and analytical ability and ability to work under pressure and to deadlines, both independently and as part of a team. I have good Microsoft Office knowledge and customer service skills. Seeking positions with flexible hours and/or remote working opportunities. I am looking to return to permanent employment following a 4 year career break to raise my daughter. All Aspects of Resourcing (including recruitment, absence management, performance management, disciplinaries and grievances); Coaching, Budgets, setting objectives, Risk Management and quality checking. I also have very strong IT Skills, especially in Microsoft Office Applications, but capable of learning any computer systems very quickly. Profile Intro: An illustration graduate with a keen interest in marketing and great customer skills. I have experience in recruitment, employee life cycle management, employee relations, learning and development, employee engagement and payroll and related HR administration. I am recognised for my positivity, communication and drive to succeed. I am a personable and approachable person and great team player. Commercially and socially astute, my HR achievments include partnership with local colleges to get disadvantaged students into work and improved labour efficiency resulting in a revenue achieved per pound of payroll increase from £3.78 to £4.25. I have recently completed level 5 CIPD, and am now looking to further my career within HR.